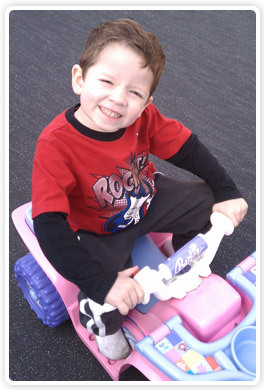 Joshua’s Journey of Hope is a non-profit tax-exempt entity under Section 501(c)3. Federal Tax ID #26-3806532. Your gift is tax deductible and all funds raised go to Cystinosis research. Cystinosis is a common cause of the Fanconi Syndrome, a renal tubular disease. Fanconi Syndrome is treated symptomatically. Fanconi Syndrome causes a loss of minerals and nutrients in the urine. Treatment requires free access to water and oral replacement of salts and minerals that are lost in the urine. High doses of vitamin D and phosphate are required to replace the lost nutrients and minerals and to prevent rickets. The only specific treatment for cystinosis is cysteamine. Cysteamine is the only drug that slows the progression of cystinosis by removing the cystine from the cells. Cysteamine is a cystine depleting agent that helps to lower cystine levels in the cells. Cysteamine was designated an “orphan drug” as defined under the Orphan Drug Act of 1983. In 1992, Mylan Laboratories assumed responsibility for developing cysteamine in a capsule form. In 1994, the new product, called Cystagon™ was available for use. Unfortunately Cystagon™ has a very bad taste and smell and must be taken every six hours, every day. Cysteamine eye drops help to dissolve cystine crystals on the cornea. In patients with severe photophobia, using these drops every hour while awake can remove the cystine crystals from the cornea. A pharmaceutical company is proposing these drops for FDA approval. Although renal transplantation is usually required in patients with cystinosis who are diagnosed late and do not begin Cystagon™ treatment at an early age, even patients who start Cystagon™ at an early age may eventually require transplantation. This may be because patients find it impossible to continue taking Cystagon™ four times a day at six hour intervals for their entire lives.